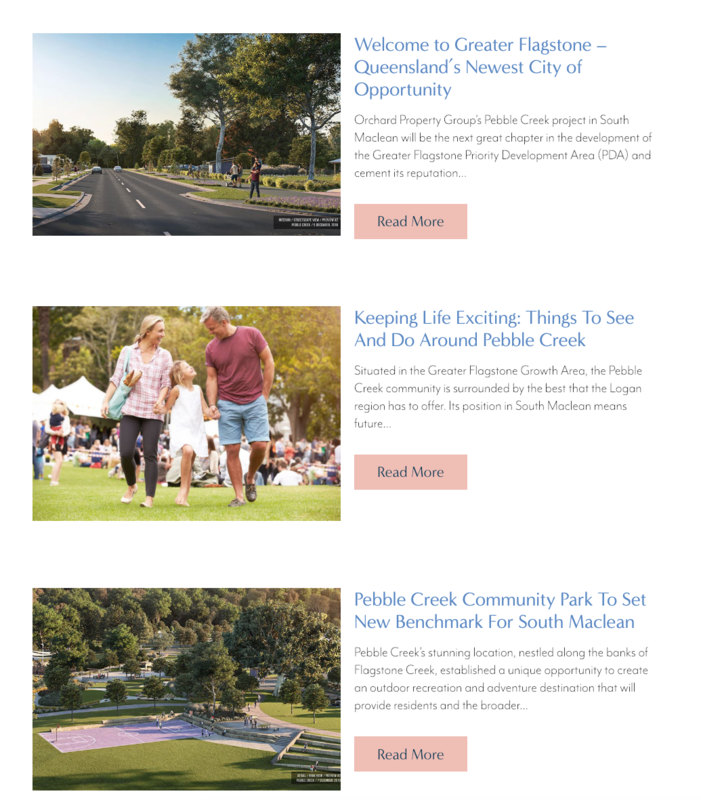 RGC was engaged by Queensland property developer Orchard Property Group to undertake an integrated earned media (PR) and owned media content campaign to assist with the launch of the Pebble Creek project at South Maclean, near Brisbane. The client wanted to use earned media and content to build brand awareness and create a strong early buzz around the project, particularly within the primary target audience in the surrounding areas. The campaign utilised well-written, relevant narrative content to convey key messages and themes about the project. The content was adapted to two different audiences and channels. 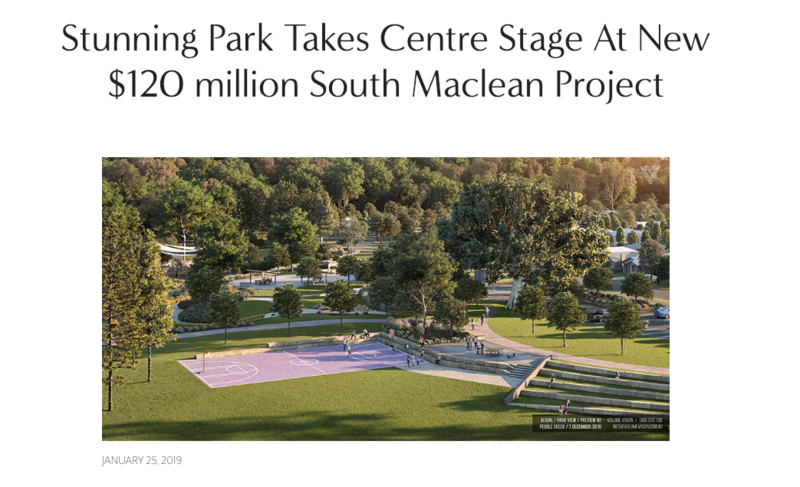 We developed a comprehensive media publicity campaign that utilised an ongoing series of announcements targeting major local, metropolitan and national media outlets. Announcements included the acquisition of the site, the official project launch and a sales update following the launch. 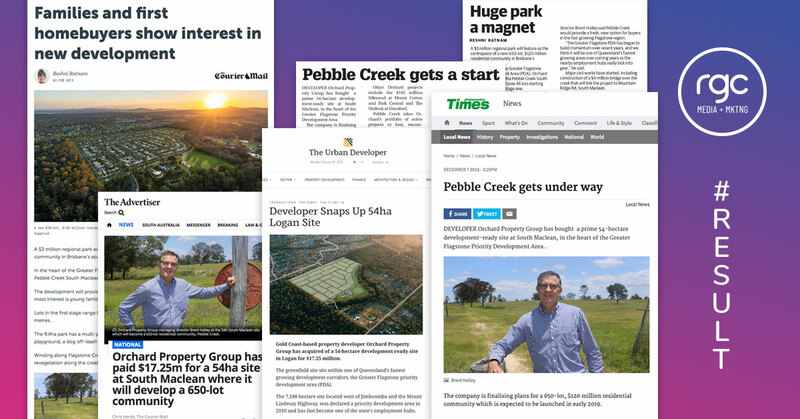 Utilising our strong understanding of the Queensland real estate market and our extensive contacts in the local media we were able to achieve more than 10 separate media mentions for the project over three months, generating strong awareness and enquiry. We were also tasked with creating a comprehensive ecosystem of content to feed a variety of owned marketing channels, including social, direct, and search. As part of the strategy we developed a large library of articles that can be utilised across all marketing channels. The content was created under four main streams focussing on the company's development expertise, strong design and the local community.